Anyone who has taken a yoga class may be familiar with the “om” meditative chant, but the om is also one of the most historically significant and meaningful mandala symbols. With a rich history that spans from ancient Hindu and Buddhist practices to modern day yoga classes, the om is one of the most universally known symbols when it comes to spiritual enlightenment. Most religions begin with a creation story in which life is literally breathed into the Earth. 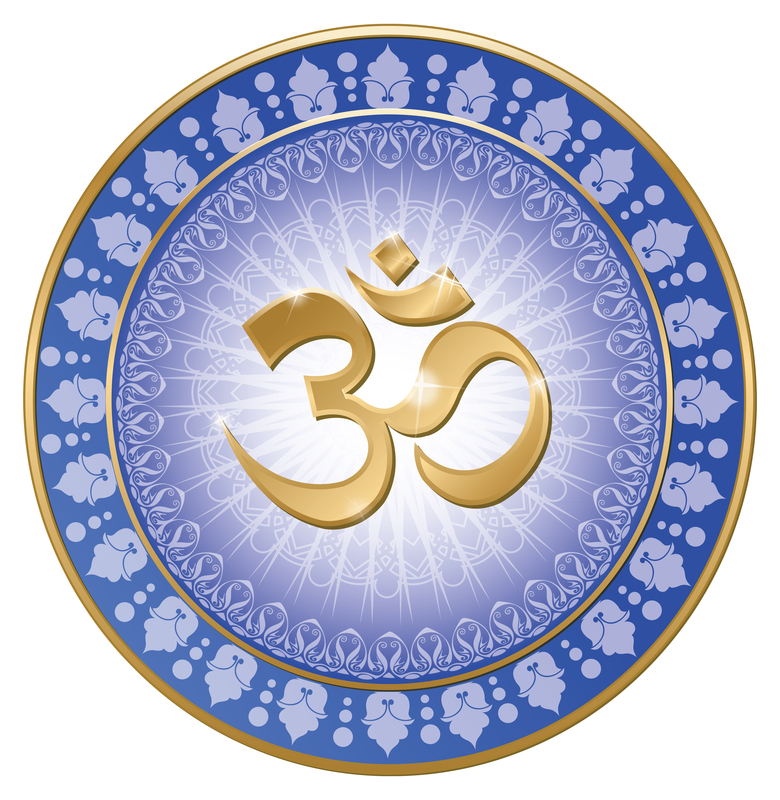 The om (also aum or ohm) is considered the sacred breath in Hinduism and Buddhism. Both religions believe it to be the divine word or breath that began the process of creation, hence the most important sound in meditation on life and spirituality. Om is essentially the sound created by the individual consonants of A, U, and M. Fittingly, it is therefore representative of trinities throughout its use, particularly in Hinduism. Each sound is said to represent, respectively, Brama The Creator, Vishnu The Preserver, and Shiva The Destroyer, the three principal deities in the religion. In terms of meditation, the om (AUM) is created using all three elements of the human voice: the A comes from the throat, and the U and M from the lips. Hindu culture is surrounded by om images, and they are included in everything from important documents, to religious paintings, to temples. The word both starts and finishes sacred texts such as the Vedas and Upanishads, and is said at the beginning and end of religious chants. 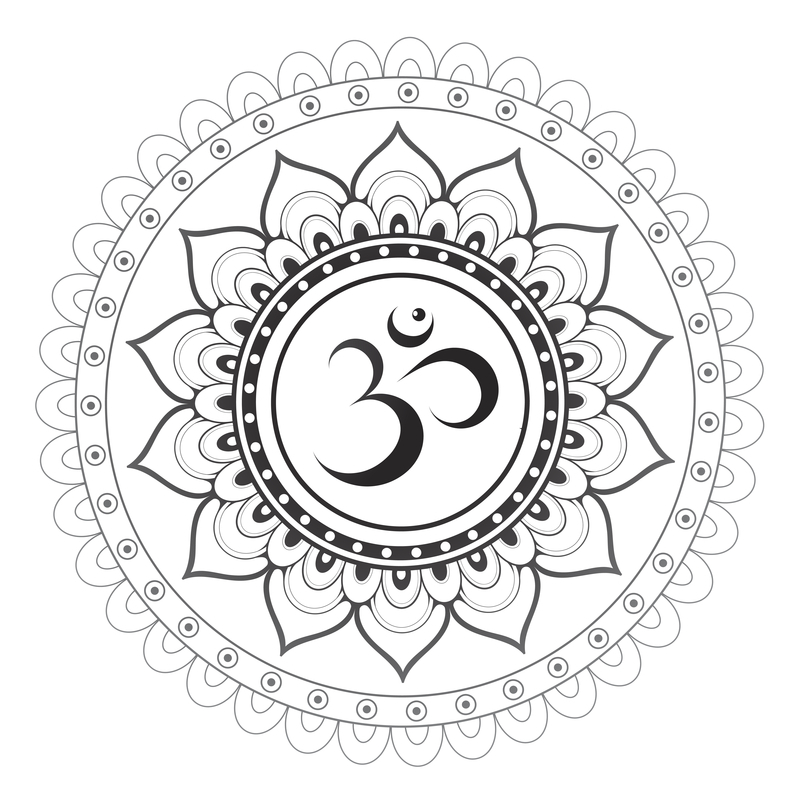 As with mandalas in general, om is a symbolic representation of the connection between man, the divine, and the universe. Both the symbol and the word are used in meditation, one of the primary purposes of the mandala, so it makes sense that the two are often found together. One of the fascinating concepts related to the om sound is that its vibrations actually create the image of the Sri Yantra mandala. Using a tool called a tonoscope, it was discovered that when the vibrations were intoned by a human voice, the powder or liquid substance on a diaphragm would move into the Sri Yantra shape. Most om images in modern use are those that stem from Vedic and Indian cultures, rather than Tibetan ones, although the symbol can be found throughout Asian cultures. The shape of the visual symbol itself is made of three components, each representative of the three syllables of the word. When used in mandala art, Om symbols are often designed in combination with other meaningful symbols. Lotus flowers: It is common to see lotus flowers encapsulating the om symbol, as in Hinduism and Buddhism the lotus is related to purity, beauty, and opening oneself to the spiritual. Modern uses sometimes substitute other flower petals and leaves for the lotus. Geometric patterns: In mandalas the om is sometimes seen surrounded by geometric patterns. As with Sri Yantras, each shape in each layer is typically meant as a step towards greater consciousness and divine connection. Since the om symbol is one of the most prominently featured in Eastern religions, it has become popular as adornment for modern practices influenced by Eastern traditons, particularly yoga. It has also become a popular tattoo design, as it reflects meanings of strength and divine connection, and is typically still found with the lotus flower.